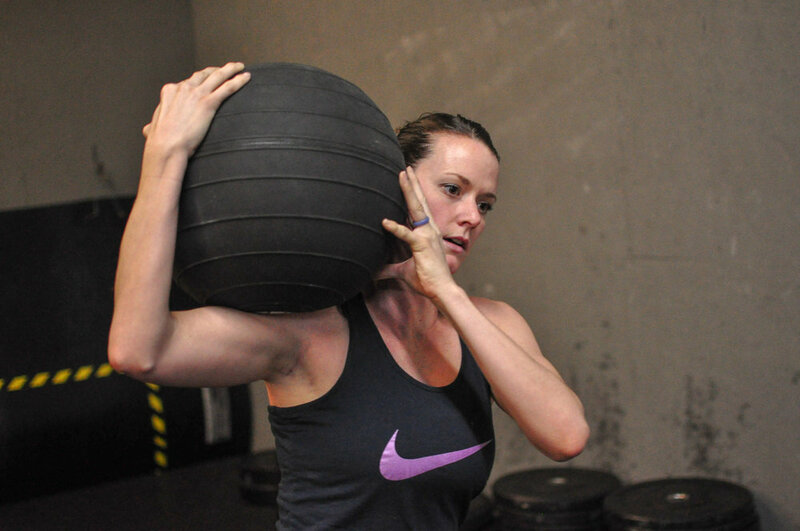 The first thing you need to know about CrossFit Raeford is that it is for everyone. Each class has a mix of athletes of varying skill and conditioning levels. We have everything from the couple getting back into the shape after a long break from working out to the military member training for selection to the high level athlete preparing for her next competition or race. No previous physical skills or athletic abilities are required for you to start with us because we will get you up to speed. Further, CrossFit is universally scalable. This means that no matter the fitness or skill level of the athlete, we can adjust the workout to make it easier or more challenging. Anyone can do CrossFit! Whether you're new to CrossFit or a seasoned veteran, all classes begin with your coach demonstrating each of the day's movements and leading you through a warm-up with movement progressions to waken your muscle memory and prepare you for the day's workout. During that process, you will be assisted in selecting the movement or scaled version of it that best fits your where you are right now, allowing you to complete the workout at a level that is appropriate for you, while allowing you to workout alongside others who are performing other variations of the same movement but at a level that is appropriate for them. The coach-led warm-up will allow you plenty of time to learn, familiarize yourself and practice the movements. It is also a great time time to ask questions and allow our coaches to walk around and make corrections to athlete form, as well as make weight and movement modification recommendations for athletes. Once you're warmed up, we will take you through a challenging, but doable workout. Every day is different, and you will never get bored with the workouts! Note that due to the technical nature of CrossFit, those who are new to the sport will come in through our Foundations program where we will get them up to speed on all of the Foundational movements of CrossFit in a one-on-one setting. This approach ensures athlete readiness and confidence to enter group CrossFit classes without fear of injury or lack of familiarity with movements. Whatever your current level of conditioning, our daily workouts are fully scalable to meet your personal needs or limitations. Each participant will receive personalized instruction and coaching, so anyone of any skill level can do CrossFit. All it takes is just getting started! CHOOSE YOUR EXPERIENCE LEVEL TO CONTACT OUR STAFF.